Selling a home is one of the most stressful things you’ll ever have to go through in life. According to a 2017 study, home sellers worry about everything from figuring out the right price for their home to selling their home within their desired time frame. These things keep them up at night and make it tough for them to focus on anything else. Do you want to skip the stress the next time you sell a home? You can do it by working with the “We Buy Houses Boise” fast cash buyers. They’ll give you cash for your home, no matter what kind of condition it’s in. It’ll make the home-selling process significantly easier on you and allow you to move on from your home in no time. Here are just a few of the advantages of selling your home to the We Buy Houses Boise fast cash buyers. There are a lot of people who dislike working with real estate agents. And can you blame them? Real estate agents are in the business of making themselves look good. They’ll say and do just about anything to get you to list your home with them when you’re selling it. But not all real estate agents live up to the promises they make to their clients. In theory, realtors should make the home-selling process simpler on those trying to sell their home. But they don’t always market properties effectively, and as a result, those homes sit on the market for longer than they should. When you sell your home to the We Buy Houses Boise fast cash buyers, there won’t be a need for a real estate agent. It’ll save you a headache and save you money since you won’t have to pay your realtor once your home is sold. Is there anything worse than trying to keep a home clean when you’re attempting to sell it? You can’t relax when you’re constantly holding open houses and home showings. It can make you feel like a prisoner in your own home! With help from the We Buy Houses Boise fast cash buyers, you can do away with open houses and home showings. You won’t have to spend another second cleaning your house so that someone can come and look at it. In addition to skipping the fees associated with working with a realtor, you can also skip closing costs when you sell your house for cash. This will usually save you several thousand dollars, at least. That money can help you buy your next home, pay down a debt, or go towards whatever else you want to use it for. When you go the traditional route when selling your home, it can take weeks and in some cases even months to receive the profits from the sale of your home. If you don’t have the luxury of waiting around for your money, selling your house for cash is the best option. Oftentimes, you can collect cold hard cash from a cash buyer within a matter of just a day or two. This is an ideal method for anyone facing foreclosure, bankruptcy, or some other kind of debt. You’ll have money deposited in your bank account as soon as you finish moving out of your home. One of the things that makes a home sale especially stressful is that there’s always a chance the sale could fall through at the last minute. A home inspection might shine a spotlight on a big issue inside of a house. Or a buyer’s lender might discover something that causes them to rescind their loan offer. Whatever the case, a last-minute problem can make home sellers crazy. They go from preparing to close on the sale of their home to having to put it back up on the market. 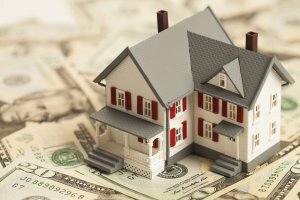 This is almost never an issue for those who accept cash for a house. Once a We Buy Houses Boise cash buyer commits to buying the house, the house is as good as gone. Speaking of home inspections, they can serve as yet another source of stress for many home sellers. Those selling their homes have to hold their breath and hope a home inspector doesn’t find any major issues with their house. If the inspector does, a seller could be forced to make major repairs to a home or drop their asking price dramatically. Most cash buyers don’t require a home inspection and aren’t worried about any repairs that need to be made. They’re more than willing to take ownership of a house that may have some things that need to be fixed up. 7. Did We Mention No Stress? People have enough things to be stressed out these days. A study conducted at the end of 2017 revealed that about 80 percent of Americans are stressed out about something at any given moment. Why add selling a home to your list of stressors? You’ll feel like the weight of the world is lifted off your shoulders when you opt to sell a home for cash instead of putting it on the open market. You can get a cash offer today and accept it immediately if you want. Do you want to try and work out a fair deal with the We Buy Houses Boise fast cash buyers? Learn more about how the process works and see if it’s something you might be interested in pursuing. You could have cash in your pocket and your home off your hands in just 7 days if you act quickly. Contact us with any questions you might have about selling your house for cash. We would be happy to tell you more about buying your home or helping you stay out of foreclosure.